IBM's Watson is a supercomputer able to process and answer questions in natural language. To show off the power of this incredible AI machine, IBM's goal was for Watson to beat the best on Jeopardy! and it/he did. IBM partnered with Ogilvy New York to develop the avatar for Watson. How could a computer the size of a room compete on a live game show? We thought up ideas for how Watson would be represented on stage, and how to use data visualization to bring things like his confidence level, his “thinking” state, and what his voice looked like to life. We spoke with dozens of data artists before partnering with Joshua Davis to create the final avatar. Watson also helped us get a few golds at the One Show, Cannes, and the Clio's along the way. 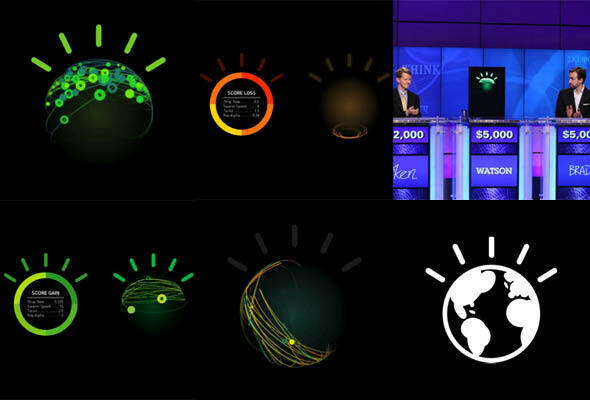 Visualizing data didn't just influence the face of Watson. "Data" was specifically how IBM was building a Smarter Planet. I worked on the global anthem to launch the second year of IBM's Smarter Planet campaign — the film itself was made out of data. Banners visualized the IBM YouTube channel’s data in real-time to promote the most popular videos of that moment. We worked with amazing data artist Gwen Vanhee to produce these. 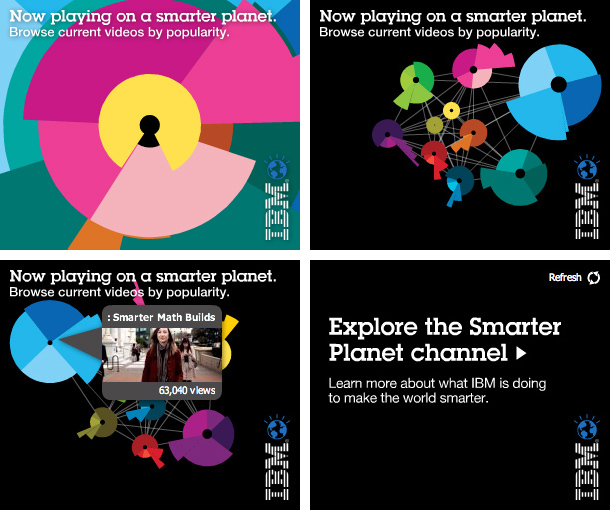 Users could navigate IBM's YouTube channel via the watch statistics data.